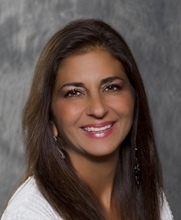 Welcome to Debbie Yatooma's real estate website where you can search for homes for sale in Novi, Northville, Plymouth, Canton, Wixom, Milford, White Lake, Commerce, Walled Lake, South Lyon, Green Oak and all of Southeast Michigan. She specializes in these areas in luxury homes, executive properties, relocation, new construction, golf course communities, waterfront properties, investment properties, buyer representation and relocation in southeast Michigan. Debbie did an outstanding job in finding us our first home, she answered all of the questions and carried us through the transaction. We would recomend her to everyone wheather you are a first time home buyer or not. she also did a fanstasic job selling our parents home. She is wonderful!